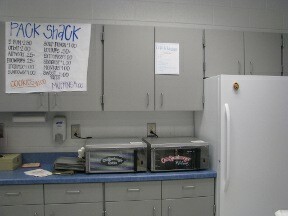 Brooks County High School (Quitman), "The Exclusive Trojan Pride"
Camden High School (Kingsland), "The Wild Way"
Campbell High School (Smyrna), "Spartan Spirit Shack"
Cass High School (Hiram), "Colonel's Corner"
Cedar Shoals High School (Athens), "The Jag Shop"
Clarke Central High School (Athens), "The Glad Shackr"
Coahulla High School (Dalton), "Creekside Apparel & Cafe"
Creekview High School (Canton), "Bear Necessities"
Crisp County High School (Cordelle), "The Cougar Corner"
Dalton High School (Dalton), "DHS Pawmart"
Douglas County High School (Campbelton) "Tiger Shack"
Dalton High School Culinary Dept. (Dalton), "CAT CAFE"
Hillgrove High School (Powder Springs), "Hillgrove Store"
Hiram High School (Hiram), "The BUZZ"
Jonesboro High School (Jonesboro), "The Student Store"
Kennesaw Mountain High School (Kennesaw), "Mustang Stop"
Lassiter High School (Marrietta), "The House of Troy"
Lovejoy High School (Hampton), "The Wildcat Den"
Morrow High School (Morrow), "Mustang Market"
Mt. Zion High School (Jonesboro), "The Bulldog Lounge"
Mundy's Mill High School (Jonesboro), "Tiger's Lair"
Murray Conty High School (Chatsworth), "MCHS Spear-It-Store"
North Clayton High School (College Park), "The Eagles Nest"
North Cobb High School (Kennesaw), "The Spear"
North Hall High School (Gainsville), "The Trojan Trader"
Computer Class built the PC that they use! 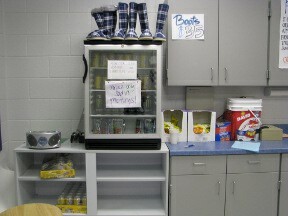 North Paulding High School (Dallas), "The Pack Shack"
Northside High School (Warner Robbins), "Eagle Exchange"
North Murray High School (Chatsworth), "The Mountain Spirit Store"
Prince Ave. Christian School (Bogart), "The Wolverine General Store"
Riverdale High School (Riverdale), "The Raider Trader"
River Ridge High School (Hiram), "The Armory"
Sequoyah High School (Canton), "Trading Post"
School store carries spirit novelties, lawn signs, and apparel. 1 Mobile POS Touch-Laptop Station. 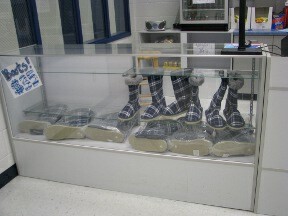 Savannah High School (Savannah), "Blue Jacket Store"
Southeast Whitfield High School (Dalton), "SHS Stop & Shop"
Sprayberry High School (Marietta), "SHS Stop & Shop"
Stephenson High School (Stone Mt. 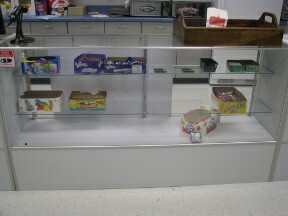 ), "Jag Express"
School store carries candy, spirit novelties, and apparel. 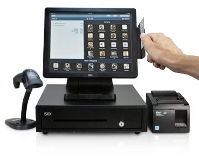 1 POS Touch-Monitor Station. 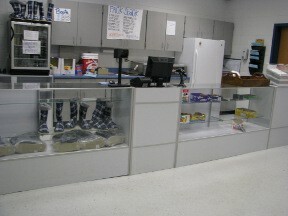 Therrell High School (Atlanta), "The Panther Pit Stop"
THINC High School (LaGrange), "The spark"
School store carries candy, spirit novelties, and apparel. 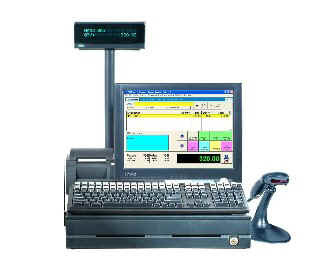 1 POS Sales Station, Touch Monitor (PRM). Uses rear Marketing Monitor to advertise products & school events.Jamie has used our School Store POS in 3 Schools..! Troup County High School (LaGrange), "Tiger Stripes"
Ware High School (Waycross), "Gator Gear"
Whitewater High School (Fayetteville), "Wildcat Cafe"